When you are running a business you want immediate results. Your marketing strategy is no different. But as you know, there’s a lot of hurry up and wait. 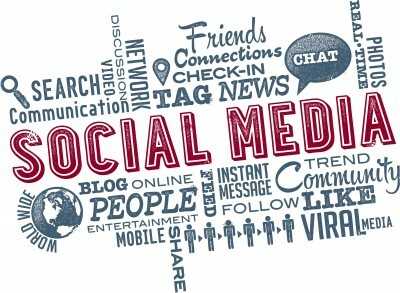 A recent Social Media Today article talks about six easy ways to optimize your marketing plan. Start off by expanding socially. Too many of us tend to stick with what we know how to use. To stay in business you’re going to have to shoot from the hip and learn about new social networks. Potential customers aren’t just on Facebook and Twitter. More and more people are creating profiles on Pinterest, Instagram, and Tumblr so it might be in your best interest to cater to those platforms. Keep abreast on these networks and create your own profile. The trick is to find a balance between all of them by keeping any content you provide fresh and relevant to that specific channel. Secondly, you will need to listen and respond to your customers. Plan on spending time on social media reading what your customers think and offer your own insight. A majority of customers will write a review, make a comment or even send you correspondence. Read it over and see if there is any room for improvement. The truth is, there almost always is some area that could be better. If nothing else, your feedback can nurture the communication between you and your customer. A simple “thank you!” can keep a dozen customers coming back. It’s that personal connection that customers are looking for so don’t alienate that little something extra. Sharing content is another way to engage customers. Simply retweeting or posting videos or information that relates to your business’s products and services is a great tool to optimize your marketing concepts. You could take it a step further and invite the customer in for a closer look. Sharing an informational video about your company with a light-hearted tour around the office or even a quick photo of a meeting on Instagram is enough. It offers a personal side to the business and does offer an intimate angle between you and your customers. It’s an easy way to boost transparency without neglecting other content, which should really be the bulk of your site. Let us help you review how to best optimize your marketing plan. We have a variety of tools and resources to boost results now. This entry was posted in Marketing Strategy and tagged content, content marketing, content marketing strategy, engage customers, instagram, marketing, marketing plan, marketing strategy, optimize your marketing plan, pinterest, posting videos, relationships, social media, social media marketing, social media strategy, social media tools, social networks, Susan J. Campbell Copywriting Solutions, Tumblr. Bookmark the permalink.